Nova Premier Dental, Dr. Peterson Huang in Falls Church can answer questions about implant dentistry. 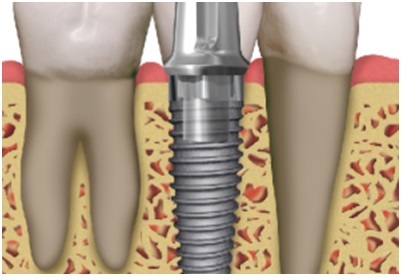 A dental implant is an artificial root that is surgically placed in the jaw, to take the place of your natural tooth that may have been lost due to decay or an accident. After healing this artificial root will have a custom abutment made so it can now support a dental prosthesis such as a denture, bridge or crown. 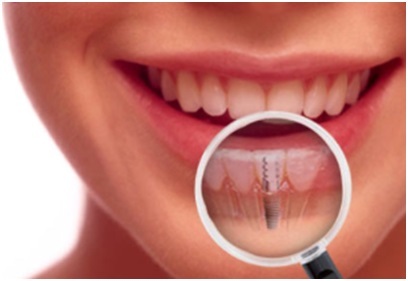 There are many brands of implants and their associated parts. Use of incompatible parts by someone who does not have the adequate experience can lead to pain, or worse yet, fracture of the implant or even your natural teeth. This is just one of the many reasons why an experienced prosthodontist is needed. There are several differences between a natural tooth and a dental implant for the dentist and patient to consider. 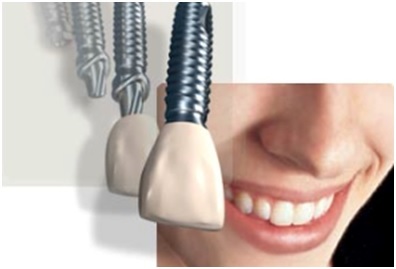 With dental implants, there are no ligaments or “shock absorbers” like natural teeth have. Therefore the bite has to be meticulously adjusted so it will fit perfectly with the remaining teeth when biting. A custom-made night-guard may be needed to prevent subconscious nocturnal grinding that can cause your bite to shift and may lead to crown fractures, bone loss around implants, and even a structural catastrophic failure of your implant itself. Unlike natural teeth, this type of oral prosthesis is not susceptible to diseases such as tooth decay. However, there is a misconception that dental implants do not require maintenance or a regular professional “dental-cleaning.” Maintaining healthy gums is vital to maintaining implant success. Plaque and calculus from saliva and food debris will still accumulate around dental implants. This material needs to be removed by your prosthodontist to prevent failure of your prosthesis due to infection and bone loss. Routine home care by you and regular professional check-ups with cleanings are essential to dental implant longevity. Each individual is different, and success comes with proper diagnosis and planning, the patient’s medical history, daily maintenance and a variety of other factors.